Manufactured to DIN 866/2 these round ended steel rules start their graduations on the left edge. 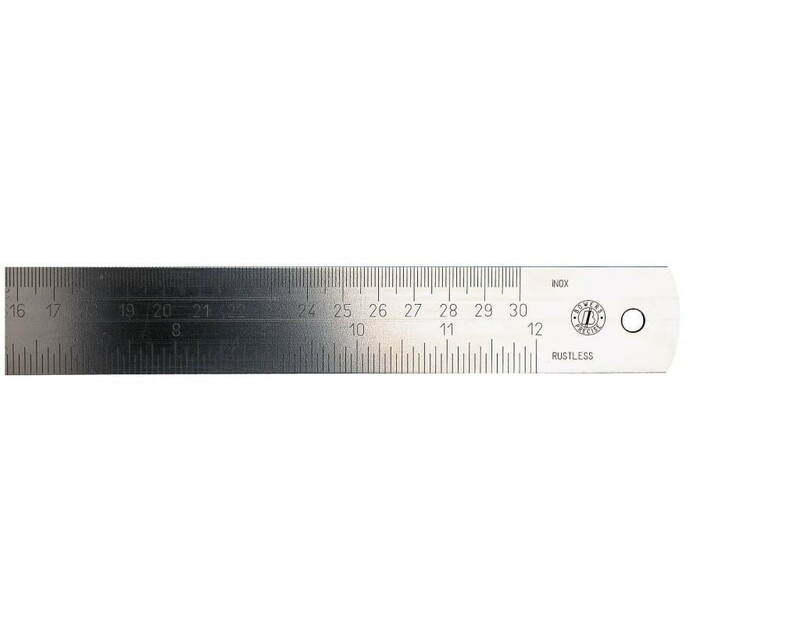 The top of the rule is graduated in inch readings 1/16", 1/32" and 1/64". The bottom is graduated in metric readings of 1/2mm and 1/1mm. These Graduated Rules are manufactured out of spring steel.